In August, I had the opportunity to attend the APRA conference in Pittsburgh where I sat in on some informative sessions and met development researchers with years of experience and those just starting out in the profession. I also had some great conversations with other attendees, one of which led to my idea for this article. So often when researching an individual of high net worth, we find that they have their real estate in an LLC. To see who is behind that LLC go to OpenCorporates which is searchable by LLC name and individual name. If you are researching someone who is a founder, partner, or executive officer of an advisory firm, including private equity and hedge funds, be sure to look at the SEC Form ADV. You can search investment advisor firms and employees that are registered with the SEC by using the Investment Adviser Public Disclosure website. Here you can find an individual’s professional background and conduct, current registrations, employment history, and disclosures about disciplinary events. Also when researching an advisory firm, click on “View latest Form ADV filed” to see assets under management, fee arrangements and the percentage of ownership stake for the direct owners and executive officers. Did you know you can search the SEC’s database, EDGAR for an individual by using the “Company Name” search box? Let’s say you are looking for a company’s latest proxy. In the search box, type an individual name (last name first name) – click on “Insider Transactions” – click on the Filings # – and search for the most recent filing that has the title “DEF 14A.” You’ll find information about top executives and directors of the public company, which can include a bio, compensation, stock and option holdings, and retirement agreements. For information about companies, people and investors go to Crunchbase. You can also use company information database, Buzzfile which has information on 18 million U.S. businesses. Getting compensation information for an individual can be difficult and we often have to determine an estimate. The H1B Visa Salary Database is a helpful tool. The H1B visa program allows college-educated foreign workers to work in the U.S. The database covers 2013-2018 and is searchable by employer, job title or city. You can get the salaries of U.S. federal employees with the US Federal Government Employee Lookup. It is searchable by individual name and will include salary and federal employment history. There are also various state salary databases which can include state government and university system salaries and pensions. I often search the New York database and California. If you can’t determine a salary estimate by any other means but you have real estate mortgage information, you can use this Income Required For Mortgage Calculator. Wayback Machine, an internet archive of web pages saved over 20+ years, is a very useful tool for retrieving bios of retired individuals or seeing webpages that are no longer functional. You can find some of an individual’s non-profit affiliations by searching ProPublica. The information is from IRS Form 990s filed by tax-exempt organizations. If an individual has made any federal election contributions you can find their address, employer/occupation, contribution amounts and dates, and recipient. To find an individual’s business email address, search by company url in Hunter. The results list all the people working in a company with their name and email address that are found on the web. Even if the individual you are researching is not listed in the results, you can see the pattern for email addresses within a company. You can use the IRS Form 990s for more than just asset information, names of trustees and a list of grants. The 990 can include the compensation for top individuals employed at the nonprofit (in Part VII), and financial contributions by an individual to their family foundation (in Schedule B, Part I). To find 990s you can use ProPublica Non Profit Explorer or Guidestar. There is also a helpful blog about 990s that has even more resources. The Chronicle of Philanthropy has a searchable database of charitable gifts of $1 million or more from individuals. Golf Handicap and Information Network is a website for golf handicaps which is a searchable by individual name and state. The results include club memberships. This is a great way to find connections to your trustees and high level volunteers at your organization. Art News publishes the Top 200 worldwide art collector list annually which includes a bio, source of wealth, and art interests. There are websites to use if your prospect owns a yacht, boat or an aircraft which are searchable by the individual’s name. Also worth mentioning is to check with your local library to see what you are able to access remotely. I’m able to get Gale Infotrac Newsstand and FindLaw through mine. You can also use the resources available on the HBG Prospect Research Links Library. Feel free to share other suggestions for resources below. 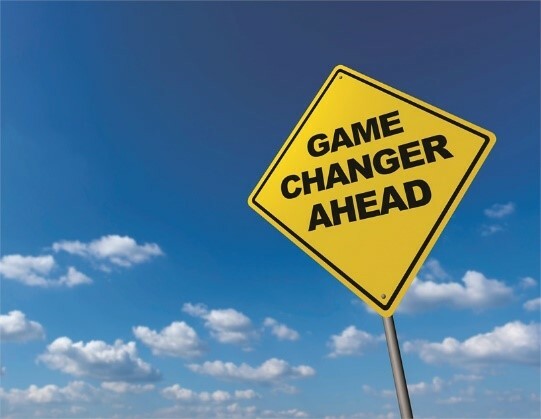 Your suggestion just might be a “game changer” for someone!